Your body needs water to survive. Every cell, organ, and appendage demands water to function. So how can you keep your body happy? At FastMed, we propose WAVE. It’s an acronym to help you make a hydration plan that is right for you. Your plan may change with the seasons, and that’s cool. WAVE is flexible. It’s a way to keep hydration top-of-mind, and keep your body satisfied to the core. Any good hydration plan begins with water. While some professionals recommend a certain number of glasses each day, we want you to drink the right number of glasses. The right amount of water is different for every person. It depends on your lifestyle, how active you are, and how much time you spend outside. Try to start with a set number of glasses each day — maybe 6 to 8 — and adjust as needed. You’re focused on drinking water. That’s the first step. Next, we want you to think about how much activity you are going to do in a particular day and adjust your water intake accordingly. Are you going to the gym? Just walking around the grocery store? Will you be out in the sun for an extended period of time? Taking all this into account will help you drink the right amount of water each day. You should seek medical care if you become dehydrated to the point of vomiting, develop a fever, lose weight, have diarrhea for two days, or feel significantly weakened. These are the negative consequences of drinking too little water. As long as you avoid all these symptoms and more serious issues, your water intake is correctly suited to your level of activity. Rarely are two days in your life exactly the same. Sure, you may have a routine, but the amount of water your body needs to function properly changes day to day. 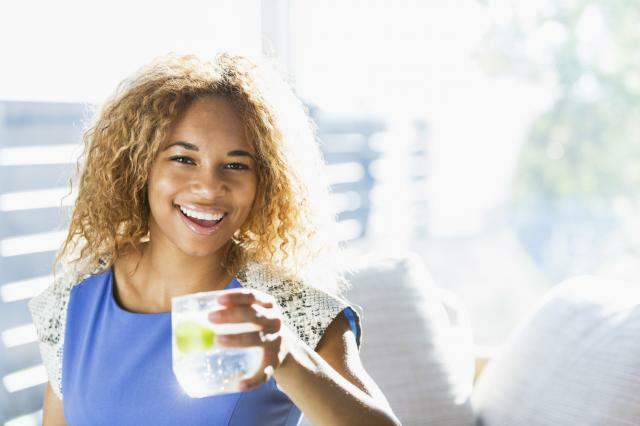 Staying hydrated is a commitment you should take seriously each and every day. Hydration is a daily effort. You may have a taste for sports drinks or coconut water or any other water substitute, and that’s okay. But we believe in water. We want you to think about drinking Water and Adjusting your intake with your level of activity. Did your adjustments work? Validate your hydration progress Every day. If you keep WAVE in mind, you’ll feel better one sip at a time. Be sure to contact your local FastMed if you feel the symptoms of dehydration or notice the summer heat taking a significant toll on your body. We’re always here to help you.